The idea that different cultures will use whatever methods are at their disposal to reinforce their established philosophy of how the world works. 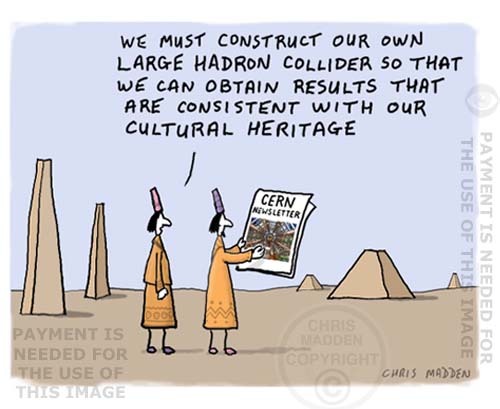 The cartoon shows a nonspecific non-western culture planning to build their own large hadron collider (LHC) to obtain results that are consistent with their cultural heritage. It is an illustration about the misrepresentation of science or the lack of use of the scientific method.